One of the healthiest habits in life is a good exercise. 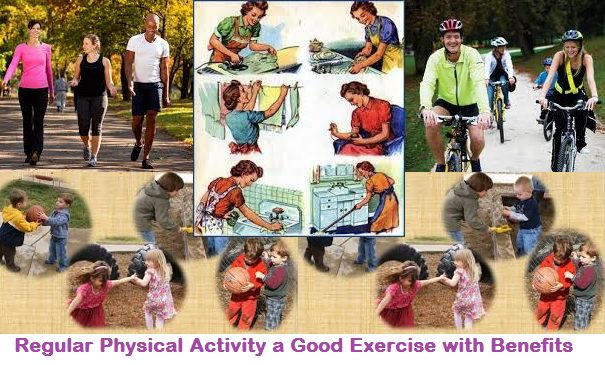 Yes, I say “good” because not all kinds of exercise are considered “good”. In order to be considered “good”, there should be a proper concept on the execution of the exercise. I will not take up that topic right now, but I will just give you a good insight on the reasons why you should not neglect spending time exercising. The best way to loss weight is a regular excessive. Exercise should be regular. Yes, this is a must. You cannot have the good shape that you desire and the physique that you want if you will only do this for a day or two. The best thing to do is make it a habit. This way, you will not be uncomfortable with your decision to wake up early in the morning and do the dogma. Exercising requires commitment, just like in a relationship. Once you are committed with what you do, you will certainly look at it a hobby rather than an obligation and things will become lighter for you. Of course, it pays to exercise, the benefits: weight loss, good health condition, energy booster and mood enhancer. These are just some of the benefits of going on a healthy scheduled exercise. I advise bring a pet when you jog. This will make it more exciting for you to do the jogging plus you will acquire good mood. Most people would rather have a dog with them than being alone. Well, being with good friends will make it more exciting also. Do not wait for the time when you cannot move your body anymore for exercise. While you are still young, make sure that you are doing something in order to become healthy physically by stretching your muscles, moving your bones and improving your breathing by means of exercise.